Statistics show that US fire departments respond to over 1 million fires every single year. This includes around 500,000 structure fires. 72% of them were home fires. Unfortunately, this leads to thousands of deaths. Homeowners need to be aware of the dangers of home fires. Fortunately, the number of fire alarms and even sprinkler systems is growing. However, this does not offer full protection. In fact, nothing really does. You want to think about extras that you can add to your home and the fire-rated door might be something to take into account. What Is The Fire-Rated Door? Image From: EBOSS – 60 min. fire-rated door. Fire-rated doors (also known as fire-resistant doors) are especially built in order to prevent or slow smoke and fire spread. Basically, we are talking about a really heavy door that is made of fire resistant materials like gypsum or metal. If a door has the fire-rated rating, it means that it does not combust as fast as a regular door in a fire, when properly installed. 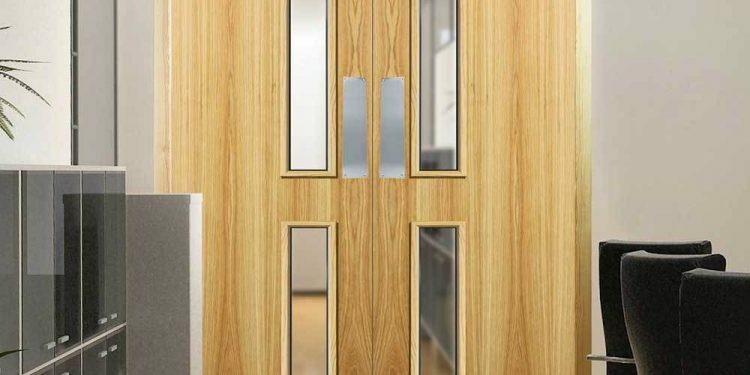 Usually, we see fire-rated doors installed in commercial and office buildings. When installed in a residential area, it is often the entryway door or a garage door. Why Consider A Fire-Rated Door? 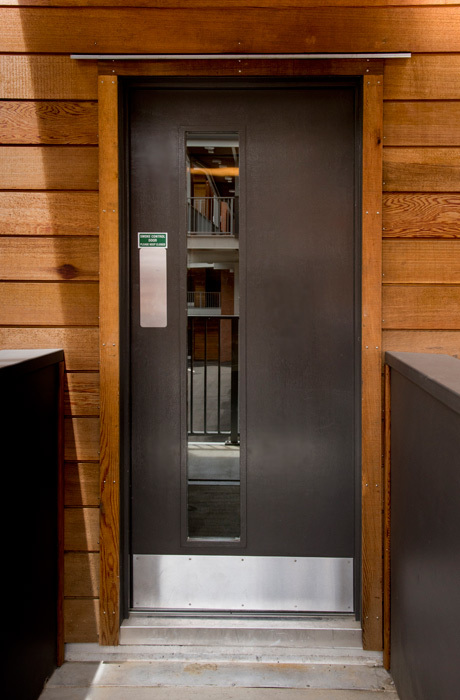 As already mentioned, the fire-rated door will help prevent or slow smoke and fire spread. However, they are not really fireproof. Combustible materials are still used. This means the door will eventually burn. However, it does so in a much longer time, resisting flames and heat penetration. 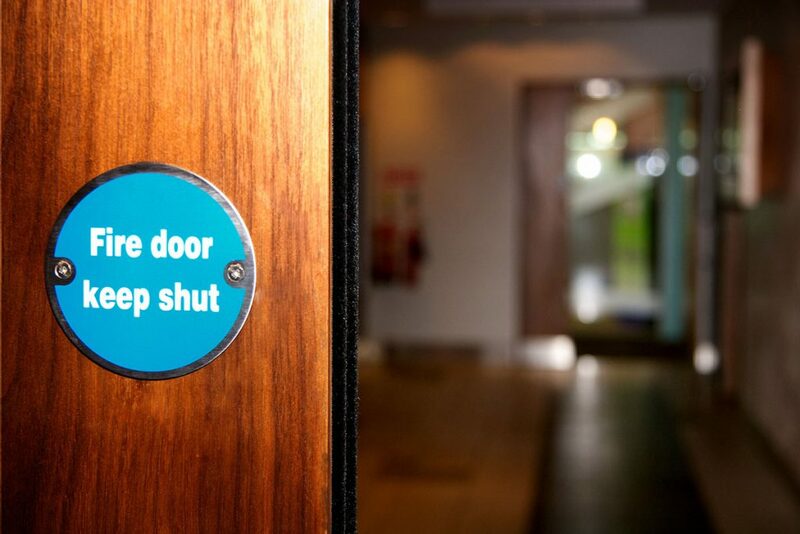 Manufacturers actually offer guidelines to how long fire can be prevented with a specific door. Because of the fact that smoke and fire are contained, you gain a lot of extra time that can be the difference between life and death. Keep in mind that most people simply think about fire but smoke inhalation is just as dangerous. In fact, most people that die in a residential fire do so because of smoke inhalation. Simply put, the biggest reason why the fire-rated door has to be considered is that it manages to delay the spread of the home fire while the firefighters gain more time to extinguish fires. Most people think that the big problem with the fire-rating door is that it will look horrible. This is because we are used to the clunky doors we see in industrial buildings that are obviously close to fire-proof. In reality, this is not at all a problem since nowadays, you can find countless different designs you are going to love. It is practically impossible not to find a door that will fit perfectly with the interior design in your home. The fire-rating door is properly installed. The closing mechanism works properly. With most fires that happen at home, simple measures like properly installing the doors and keeping them close help a lot in delaying spread. When fire originates inside a room, a closed door usually aids in slowing spread, based on how much time passes until extinguished. To sum up, the fire-rated door can be something to consider if you want to increase the security of your home. However, it does not guarantee that fire and smoke will be stopped from spreading, especially when the door is open.